Top quality, advanced materials, innovative technologies and solutions. 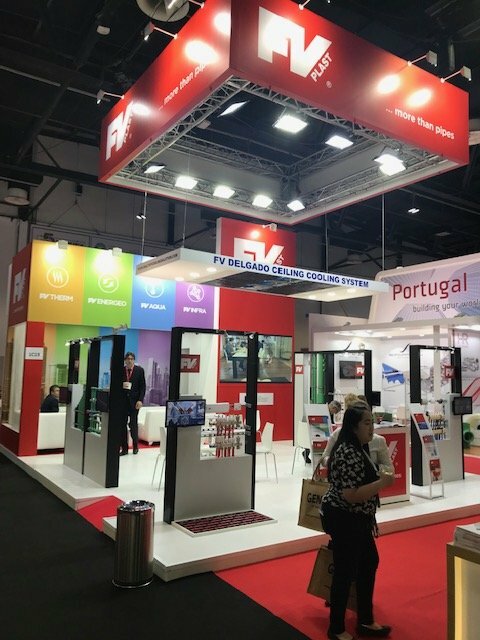 All of this is inherently connected with the leading Czech producer of pipes, fittings and fittings, which are used for installation of cold and hot water, floor and central heating. 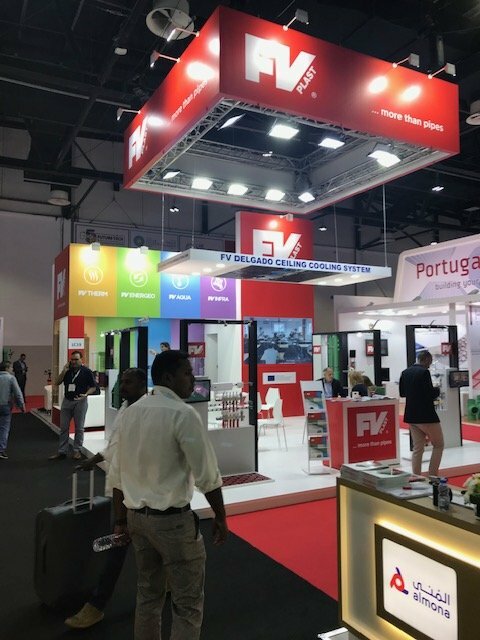 And all this and much more can now be seen by visitors to the The Big 5 International Fair in Dubai, which is repeatedly attended by FV - Plast. 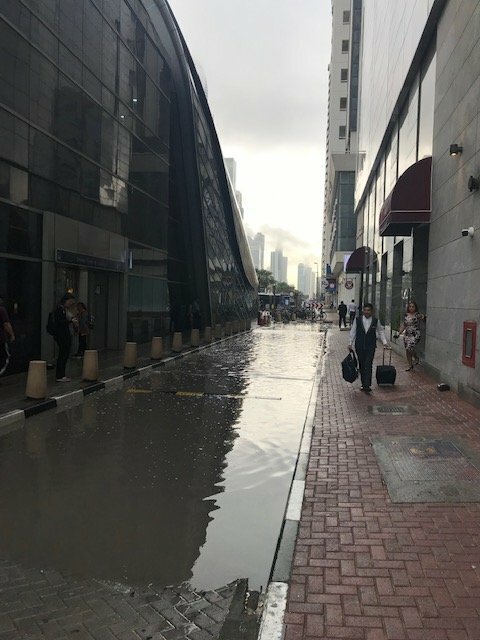 Besides assortment for water pipe installation, floor and central heating, renewable energy, as well as other applications in industry and agriculture, FV - Plast has showed news in Dubai. 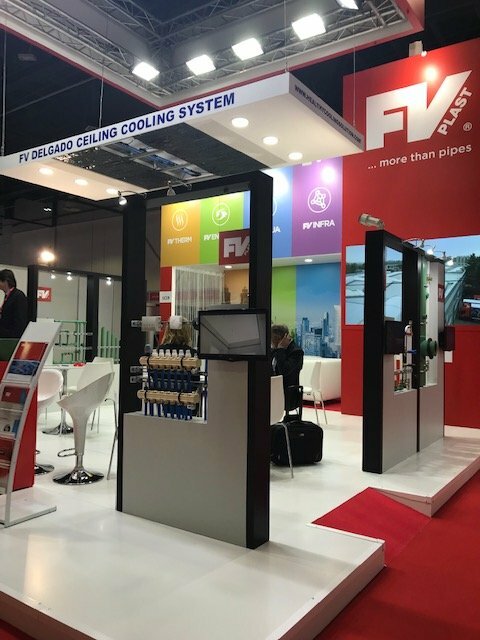 Within the strategy of developing and manufacturing heat management systems inside buildings FV - Plast represents to the professional public the FV DELGADO ceiling cooling system. 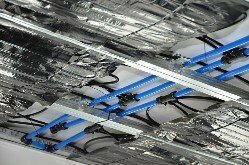 It is the unique system of flexible aluminum registers, cooled by an 8 mm polybutylene pipe, which can be used in combination with plasterboard panel ceilings or walls as well as with acoustic ceiling panels. 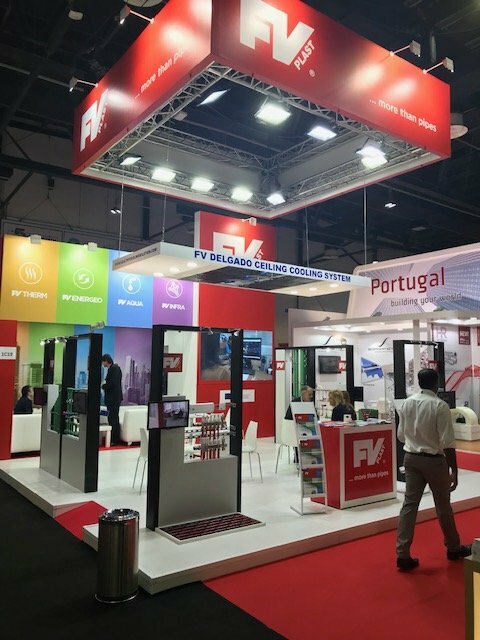 The company offers not only the parts of the system but also designs and projects, including technical advice on assembly.